Martial art is under change everyday. There is always smart brains that combain different styles and techniques. Some styles have certain stuff they need to learn, and other arts is combining a lot of arts and searching all the time. Nothing is bad, because you learn to handle the advantages for your style. Then you are trying to keep the oponent at this range. It’s really doesn’t matter what system you are training, because if you are good then you can easy adopt techniques from other arts. So basically you need to train head, body and techniques. But to be able to modify techniques or see solutions that can be used you need to have experience. 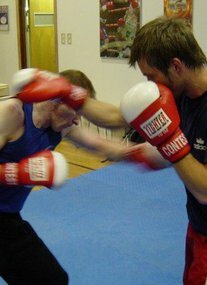 A good trainer doesn’t need to be a good competition fighter, but he need to have a good understanding. So if you like your trainers and the way he/she train you, then you will learn much faster. 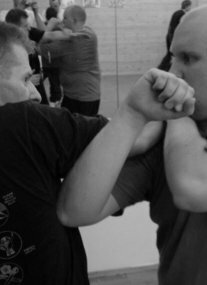 When you train Martial Art many people thinks that it’s not a team sport, but my opinion is that you need sparring partners to get better. If you don’t have that the progress will be a lot slower. So you need to communicate with your partners. Normally we talks about ranges and which techniques that can be used on different ranges. I like to define it as long, medium, short and close range. As closer you are as higher risk to get hit or locked, but it’s also better for you to hit or lock. When you are closer you need to be aware of the centerline. I operate with two centerlines, mine and the opponent. Centerline is the center of your body, and your opponent. If the techniques ends there then it’s having the hardest power. So how can you get away from the centerline? 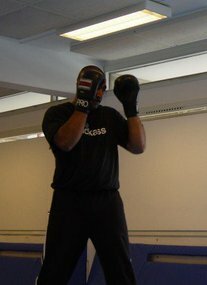 It’s easy if you know how to do footwork, and move your upper body. But sometimes it can be too late, but then you can intercept, tap, trap or cheat the opponent. I will try to write a little about how I am doing it, and maybe som video . But it will take a little time to sort my head.